Product prices and availability are accurate as of 2019-02-02 20:54:36 UTC and are subject to change. Any price and availability information displayed on http://www.amazon.com/ at the time of purchase will apply to the purchase of this product. 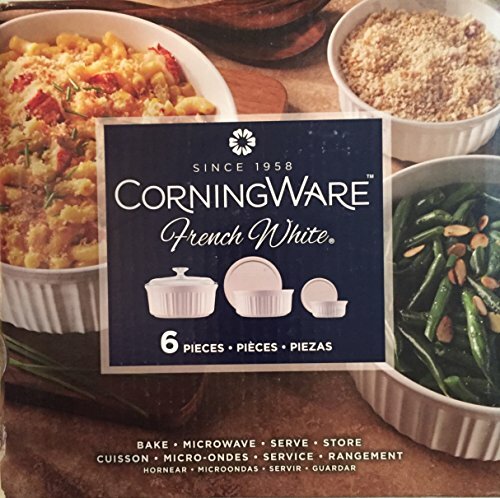 Multi-functional CorningWare bake set simplifies your kitchen. Use it to bake, microwave, serve and store food, going right from the over to the table to the freezer. The fluted design and classic, crisp white works for everyday meals or dinner parties. 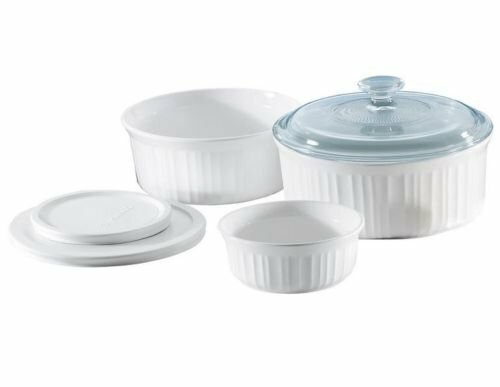 This 6-piece bakeware set includes a 2.5-qt. 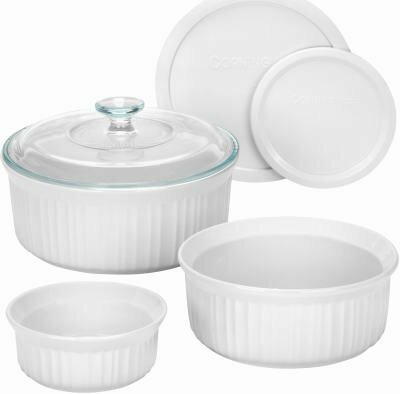 round casserole with a glass cover, a 1.5-qt. 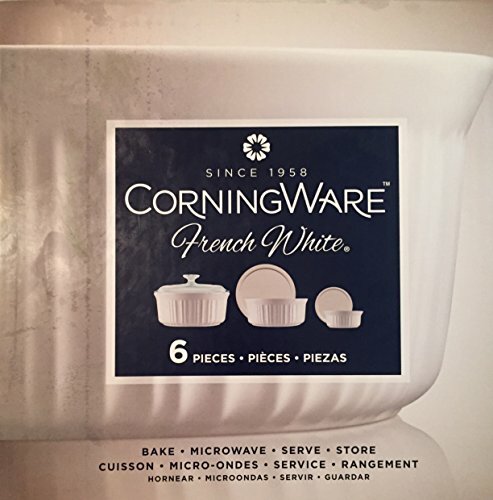 round casserole with a plastic cover and 16-oz dish with plastic cover.